If you are planning to buy a pressure cooker, it is always advisable that you purchase stainless steel pressure cooker. These cookers are extremely durable. While purchasing the cookers, always choose the manufacturers who have good reputation in the market. Stainless steel cookers are known to be safe if are from a known brand. While buying pressure cookers check out if the manufacturers are in the business for a considerable number of years, the customer reviews they have got and whether they are providing replacement pressure cooker products. In case you lose any of the accessories such as cooker pressure regulator or body handle or gasket or screw, you may contact the manufacturers who sell pressure cooker accessories in India. Pressure cooker manufacturers design cookers by keeping individuals in mind. You will get a variety of cookers in different quantity and shapes in the market. Depending on your requirement and type of food you will be preparing, you need to buy a pressure cooker. Buying pressure cooker of the right size of pressure cooker is very much important and has lots of advantages. The manufacturers always aim in improving the models of cookers and that too at affordable price. When you buy pressure cooker you will a booklet which has a number of recipes which you can cook in pressure cooker. You will be surprised to see the wide variety of tasty recipes which you can cook in minutes. Pressure cookers also promote the idea of “Go Green”. Since it takes less time to cook food, it consumes less fuel, thus leading to a greener earth. The oldest way of fast cooking is by using pressure cooker. Compared to the traditional method, it cooks food 70 per cent faster. If you are in a hurry but want your food to taste really delicious, a pressure cooker comes to your rescue. Our life has become really fast. We hardly get time to catch up with family meals. When in home, half of the time goes in the kitchen cooking food. When ultimately the food is cooked, we feel tired and no longer have any energy to chit chat with family members. The pressure cooker offers the benefit of cooking food at a faster pace. It can get a wonderful meal on the table fast. The high temperature trapped inside the cooker keeps all flavour and moisture intact, at the same time retaining vitamins and minerals in the food. Even the toughest meats and beans get softened when cooked in pressure cooker. If you want to prepare stews or chunky soups, nothing can be better than pressure cooker. For even kind of cooking, cut food that takes longer time to be cooked into smaller pieces while the food items which get cooked quickly should be cut into bigger pieces. In this manner, they will take the same time to cook. 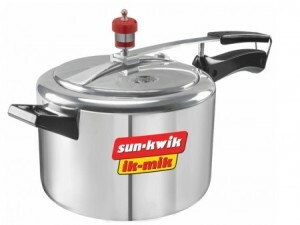 The reputed pressure cooker brands also sell pressure cooker accessories in India. The accessories include rubber gasket, detachable pressure regulator, grids and separators. If you need to change your gasket, always choose branded pressure cooker accessories in India. Although pressure cooker is not at all a new concept in the kitchen, yet is the saviour during the crisis times. Why only crisis time? Cooking in pressure cooker not only saves time but also saves fuel and restores the nutrient of the food. Did you know pressure cookers actually make the earth greener? Did you know that pressure cooker can actually make the earth become greener? There is no escaping from the global warming issue, it’s with us in news bulletins, posters and magazine articles in fact everywhere we turn. All the reports are telling us to do what we can to cut down on our usage of fossil fuels and carbon emissions. Pressure cooker manufacturers have taken several safety features to ensure that users get the maximum benefit while using the cooker. There are several reputed manufacturers in the market who come up with innovative cookers. 1. Fuel saving- Pressure cookers are very effective in saving fuel. Some pressure cooker manufacturer claim a figure of up to 70 per cent faster. In a year this is equal to a good quantity of less fuel used. This in return means, less damage to the planet. 2. Healthier- Cooking in pressure cooker is very healthy. While cooking, all the nutrients of the food are retained within the cooker. Since the cooking is done in high temperature, all the micro organisms are killed easily. 3. Less time spent in the kitchen – You need to spend less time in the kitchen and more time with your near and dear ones. 4. Durable- Pressure cookers are durable and last longer. Hence buying a pressure cooker means one time investment. Let your friends know how a pressure cooker can be environment friendly. Don the hat of a responsible citizen and help making Mother Earth greener. We all know about induction base pressure cookers and induction cooktops, but hardly know how that works? The cooktops heat up the cooking vessels with induction heating, instead of infrared heating or gas flames of a traditional cooking stove. The cooking utensil must be of ferromagnetic material. Stainless steel and cast iron utensils are the best choice for induction cooking. The heat is directly transferred to the cooking pans and its contents. The absence of the coil makes the vessel work as the cooktop. Question concerning the number of burners, wattage, touch buttons or knobs, temperature settings, ‘hot’ or ‘on’ indicators, etc. are very important. One must always, always be extra careful while working on induction cooktops and induction bas cookers. They get extremely hot and could burn you pretty bad. Several safety features are already built in but here’s no harm in being a little more careful. The combination of convenience and safety makes the induction cooking so very popular. Pan pressure sensors, kitchen timers, boost, warming or sensor modes, etc. are very useful. These induction cooktops have flexible burner space which is a great plus point. 30 inches -36 inches is the range in which most of the cooktops are available in the market. The variety in size allows you to buy the most fitting option. The length of the chord and the drop-in dimensions are really important and one must check them before buying one. If you ever run into any installation problem contact the respective company or a person who is skilled enough to install one. The cooker is versatile because of its varied features. Induction base pressure cooker can be used both as a cooker and a utensil for reheating or warming any food on the induction cooktops. As electricity is cheaper than natural and cooking gas more and more people are turning over to buying induction cooktops. With careful handling of the cook tops and proper handling of the utensils they last a real long time. The induction base pressure cooker can also be used to cook on the normal gas ovens. Thus an induction cooktop and cooker are a must have for any household. 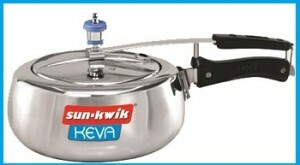 The pressure cooker is one the cooking utensils which completes the Indian kitchen. The pressure cooker accessories in India range from the whistle to containers. 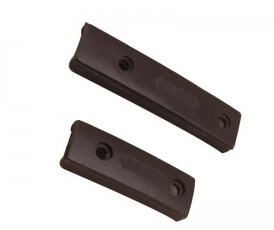 These not only help keep safe but also facilitate faster cooking. A pressure cooker is the essential cooking utensil in India which works on a very simple principle, stream pressure. The pressure cooker needs various accessories to work properly. These important parts and pressure cooker accessories in India are the gasket or the seal, the bracket and the handle, cooking rack and cooking pressure regulator. • Gasket: the sealing ring which prevents the steam from escape through the lid’s leakage is known as the gasket or simply the seal. With regular use the seal wears out and should be replaced for proper functioning of the cooker. 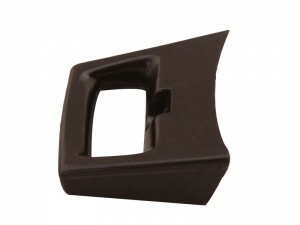 • Cooker handle and bracket: this part is also easily replaceable. The cooker gets very hot while cooking; the handle and the bracket remain cool, allowing one to handle the cooker. These parts are made out of poor heat conductors. Thus they can stay cool for a very long time even if cooker is extremely hot. • Cooking rack: these allow heating up several dishes at once. Energy saving and time saving at once. • Cooker pressure regulator: it is one of the most important parts of the cooker. Its main purpose is to regulate the steam for safety reasons. These will eventually wear out with time. It should always be immediately replaced. If not serious accidents might take place. 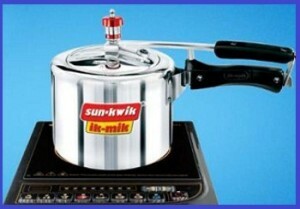 The pressure cooker accessories in India are at sold by the manufacturers like Sunkwik. We even provide huge discounts and the parts fit very perfectly. At times they are produced by other companies too, but one must be very careful and check the fittings. The accessories not only help save time but are important for safety measures. If the parts and accessories are timely changed the cooker lasts a very long time. Care for the cooker and it will keep your stomach filled with lip smacking dishes.